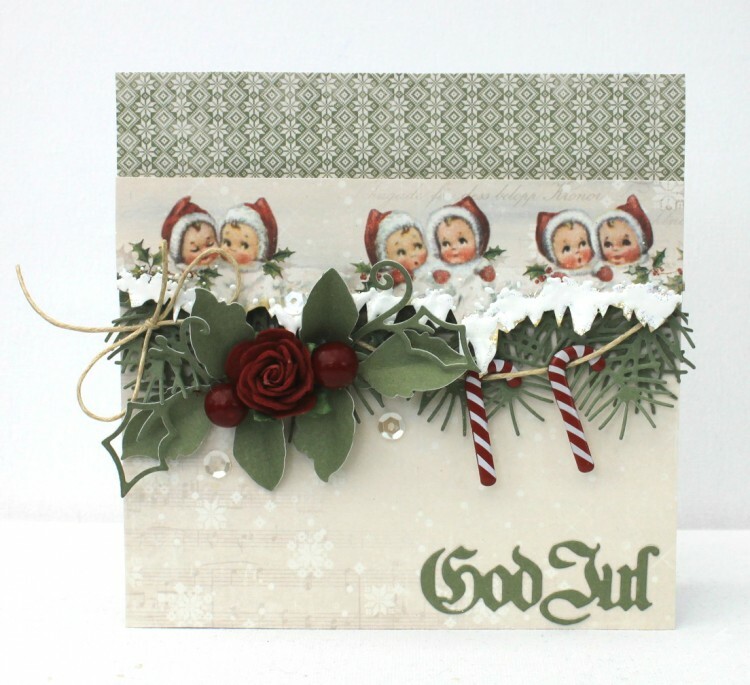 I have made a card with the new Pion Design papers – Christmas in Norway. It´s absolutely gorgeous, i love the sweet images and the lovely colors. I love all the rosy cheeked little ones! Love the Christmas in Norway paper line. So pretty!